Nucleus Pull On - Mens is rated 5.0 out of 5 by 1. Rated 5 out of 5 by Carcajou from Excellent Midlayer This is the second Nucleus. My first was a client gift from an adventure travel company. My satisfaction led to the decision to purchase a second. The Nucleus is a heavier mid layer and this very warm, at least for me as I tend to be warm. 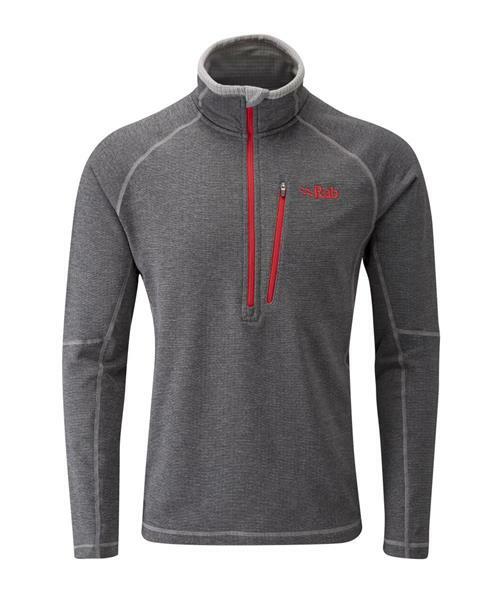 It is a great layer to pull on when taking a longer break when hiking, backpacking, snowshoeing, etc. It is a great end of day layer when tenting and you make a change into your warm, dry clothes and are less active or sitting around. The deep zipper is useful for dumping heat, but the heavy fabric is a great insulator. The face fabric is pretty resistant to piling do the top keeps looking good for a long time. Maybe the best testament for the Nucleus is how many times I went to use it only to find my wonderful wife warm and cozy in my top! The fit is accurate to the labels.